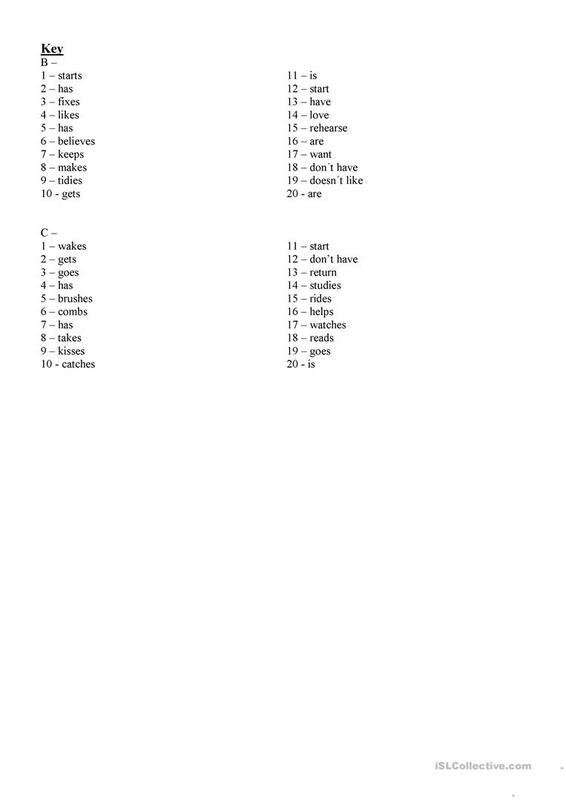 This a worksheet where sts learn vocabulary coonected with daily routine. First they have to translate into their own language a list of verbs/expressions, then they fill in the blanks two shorts texts about two teens' daily routine putting the verbs in the present simple. This printable, downloadable handout is recommended for high school students at Intermediate (B1) level. 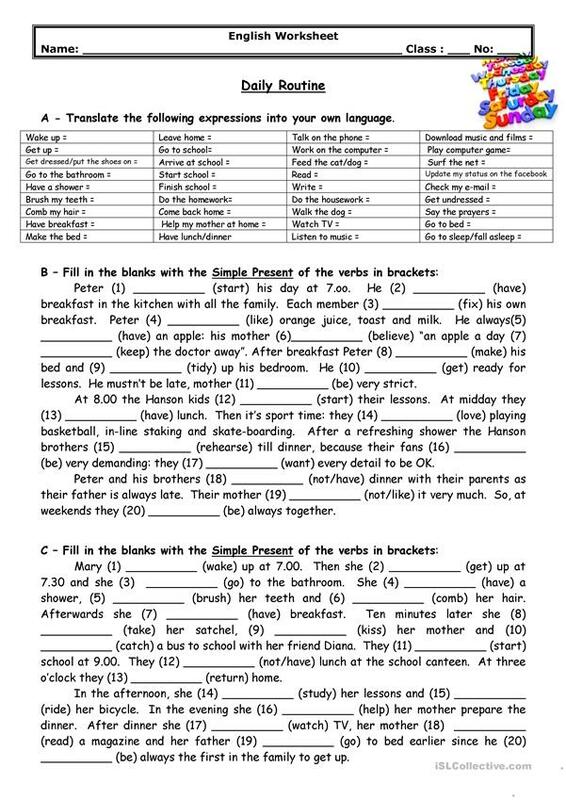 It is valuable for practising Present simple tense in English, and is a valuable material for working on your students' Reading and Writing skills. It is about the topic and words of Daily routines. The answers are provided, too. mft is from/lives in Portugal and has been a member of iSLCollective since 2011-11-21 01:49:14. mft last logged in on 2012-01-28 02:52:10, and has shared 6 resources on iSLCollective so far.